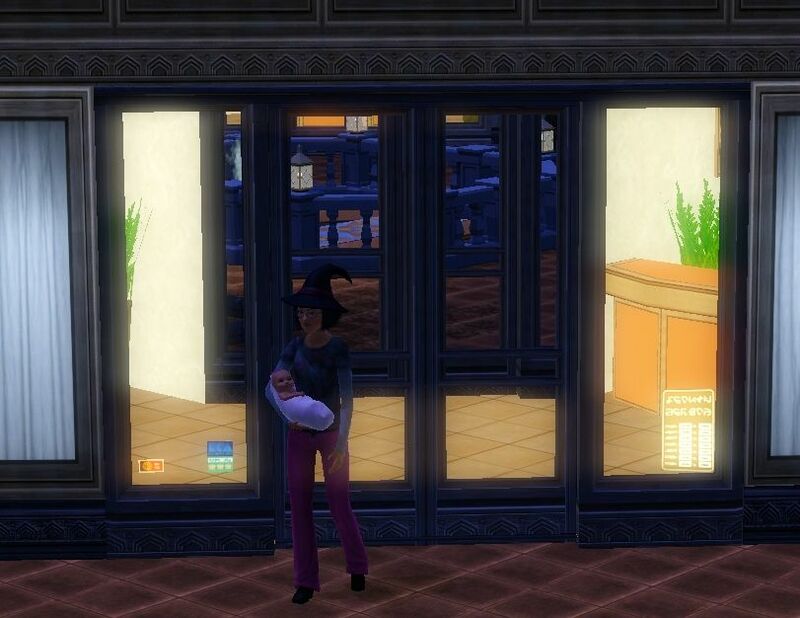 [The Sims 3] An heir is born! Author RakunoPublished on June 23, 2013 May 22, 2017 2 Comments on [The Sims 3] An heir is born! As I kept musing about my options on what to do next, both Samantha and Benjamin got a wish to get their first child. It was a good time as any other so I decided to accept it. Besides it would give 5,000 Lifetime Reward Points once the child was born, exactly the amount that Benjamin needed to get the "Fast Learner" Lifetime Reward. So, off they go to Try for Baby. It works in the first try as the success tune plays out. Turns out this is the first time the whoohoo too! What can I say? Building a dynasty is busy work. They will have time for fun and love later. Well, Samantha probably will. I am not so sure about Benjamin. Anyway, I also decided to make better use of Benjamin's traits and skills. 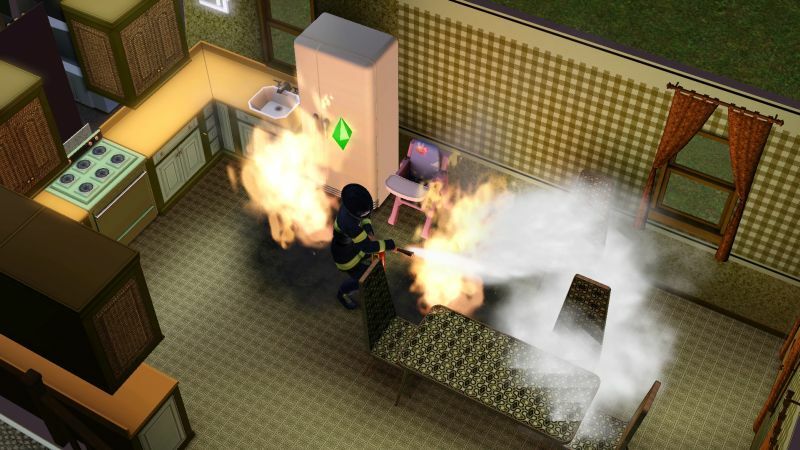 So I made him quit job in business to go work as a fireman. My hope was that it would make it easier to complete his wishes there as well spend any time not taking care of emergencies with training on his painting skills. It turned out to be a pretty good choice. I mean, just look at him, he is a natural at it! At that time I also realized a mistake I made. I should have gotten Samantha a more normal, steady job first instead of going directly to fishing. It is not that fishing is a bad profession. It is just that it takes time until it becomes really profitable. This challenge has a pretty hard beginning, money-wise, so having a job that pays regularly and that I have a better way to control her career advancement would be a better start. Besides, with pregnancy it would also mean she would get a paid maternity leave that she could use to raise other skills or do something else necessary for the dynasty. The next morning Samantha goes to the Science facility to join the Science career. One of the requirements for promotion is to have the gardening skill which she already has at level 3. However Samantha doesn't get even one day of work before she finds out that she is expecting a baby. At least she is getting some money now with the maternity leave. This allows her to spend the next days having her all her wishes satisfied. The days fly by and the baby is about to born. Both parents hurry to the hospital. It is a baby girl! I give her the name Selena. I am also allowed to choose two traits for her. The first one I choose is "Artistic" to secure a painter/sculptor/photographer for the family later on. The second is the "Brave" trait just so Benjamin can have a some sort of legacy. Speaking of Benjamin this finally gives him enough points to buy the "Fast Learner" Lifetime Reward. As I hoped for it is making him painting skill go up much faster. A couple days later, Raslton becomes an elder. No birthday party still (not like the game would even allow to, for a pet) but at least the whole family is there to celebrate it. I also find out that Raslton is actually female... I will edit the previous posts later on to fix this mistake. My apologies to Ralston for using the wrong pronoun all this time.